When searching for schools for boys in South Bend, Indiana, Agape is an affordable alternative for misbehaving boys. – boarding schools troubled boys and therapeutic schools. Are You Looking for an Affordable Year-Round School for Boys that Enrolls At-Risk Boys from South Bend, Indiana? While you search for a school for boys near South Bend, Indiana, would you also look at an affordable residential program and school for boys centrally located in Missouri? Agape Boarding School helps at-risk boys from all over the U.S. and is certified to enroll students from other countries. Most of the boys who attend Agape are struggling with behavior issues such as defiance of authority, untruthfulness, lack of motivation in school, hanging with the wrong crowd, anger, attention-deficit, experimenting with drugs or alcohol, or otherwise going down the wrong road in life that could lead to serious problems if it were to continue. Inexpensive School for Boys, Which Also Includes Therapeutic Counsel, Team and Individual Sports, Trades Training, and More! Even though our main focus is on turning around misbehavior, Agape also provides a top-notch accredited education, competitive team sports, and 24/7 supervision. There are a variety of daily activities that are meaningful and improve self-discipline and esteem. 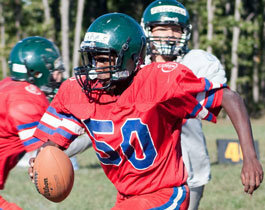 Agape helps at-risk boys become respectful, disciplined and educated young men. The structured and encouraging environment, detached from your boy’s peer group, helps them learn positive new patterns for living. Young men attending Agape have an opportunity to catch up academically and finish their high school coursework, as well to prepare for a trade. Our credits are transferable back to your local school and are recognized by colleges and universities. Unlike military schools for boys, Agape also provides training in a variety of vocational skills, including trades like automotive repair, painting, electrical work, masonry, construction, landscaping, welding, horsemanship, animal husbandry, and more. Residents are well-prepared for college or success in initial jobs in the workforce, having acquired trades skills, as well as learning the self-discipline that will serve them all of their lives. 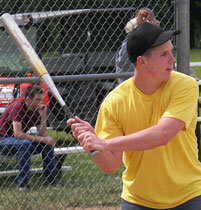 Residents also enjoy athletic programs and outdoor recreation. The large campus boasts a full-size gymnasium and well-equipped indoor recreation room; baseball, football, soccer fields, volleyball court and boxing arena. Plus, we have a small lake; horse barns and a professional rodeo arena, an outdoor riding arena, an in-ground swimming pool, and so much more. The campus also is home to many exotic animals, from Alpacas to Zebras. 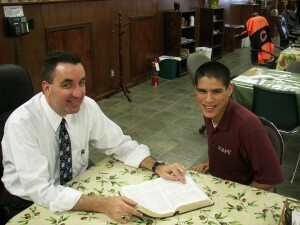 Though Not in South Bend, Indiana, Agape Enrolls Boys from Around the Country, Including Teens in South Bend, Indiana. A number of boys from around South Bend, Indiana have turned their lives around with the assistance of the Agape Boarding School. So, please think about looking beyond South Bend, Indiana to learn more about this highly successful and reasonably priced boys school specifically designed for troubled boys. Excerpt about schools for boys in South Bend, Indiana, used with permission from Wikipedia. When searching for schools for boys in South Bend, Indiana, Agape is an affordable alternative for misbehaving boys.